Our easy to use hand-held microscope products help you captivate students with stunning magnified images and get your plans lessons across. The Dlite AM-113M is a Microscope to take Video for TV/projector with 6 fixed magnifications and zoom from 10X to 200X. Touch this camera directly onto any object or surface, then watch the live color video image on the screen and present it to a whole group simultaneously. Just by touching the sample with the internally lit lens tip, you are instantly focusing, illuminating, and magnifying to the screen. The Dlite Microscope is the only zoom scope model that has STR’s exclusive accessories and curriculum forming our Education Kits. Available accessories include the tip set, Discovery Scope attachment, XYZ stage, and backlight lamp with Light Blocker. Our available curriculum and lesson plans are written by expert teachers and are classroom tested. The Dlite Microscope is unique among our other products because it has tips available for 15, 30x, 50x, 100x, 150x and 200x fixed magnifications without changing lenses (see sample magnification images here.). It also will zoom from 10x – 200x just by turning a thumb wheel. The Dlite Microscope is the only version hand-held zoom camera with exclusive accessories and curriculum created by STR. Available accessories include the tip set, Discovery Scope attachment, XYZ stage, and backlight lamp with Light Blocker. Our available curriculum and lesson plans are written by expert teachers and are classroom tested. All of these items are available only from STR. STR has evaluated all of the cheap knock-offs and none have the durability and quality of the Dlite Microscope, nor will you get STR's service, reputation, and exclusive add-ons. The Dlite Microscope has an analog TV/projector model and a USB computer model. 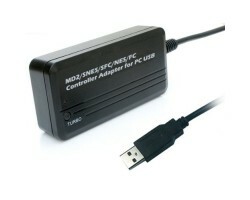 The USB model includes basic display and capture software for Windows (with Mac capabilities - see specs). The USB model has a capture button on the unit, and software for live display, image/movie capture included measurement capabilities, and is compatible with digital whiteboards. Both TV and USB models come with a small plastic stand. A 500x fixed magnification model is available, as well as an optional 1-10x lens and a 500x lens.